Do you use water straight from the tap to make-up your sea salt mix or add top-off water to your system? If so, you may be heading for trouble. Even though drinking water goes through our local water supply purification processes, often impurities or chemicals can still be present in the water. 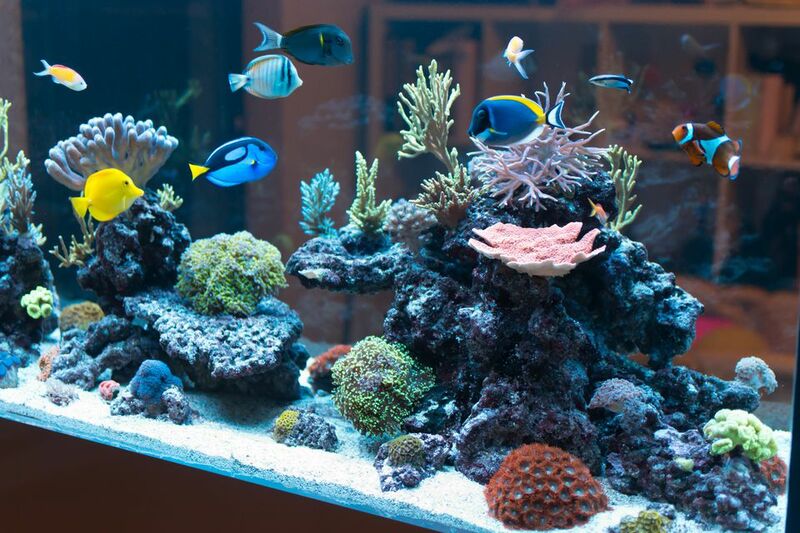 Here are some of the potential problems that may arise when using or adding untreated tap water to a saltwater aquarium or reef tank system. A lot of dechlorinating products on the market will remove basic chlorine elements, but may not be sufficient enough to break the chloramine bond. Therefore, you need to make sure you are using a dechlorinate that "specifically" states it will remove chloramines. If the water department fails to maintain the proper levels of chlorine/chloramines to kill bacteria in the water, a bacterial outbreak may occur, and here is a good example of what can happen in this situation. Many years ago during the time we ran our fish collecting business, our complete fish holding system (16-55 gallon tanks and a large 3,000-gallon batch set up) broke out with a bacteria bloom which caused the fish to come down with bacterial infections, and we just couldn't figure out why. After performing numerous tank and filter cleanings and many water changes over a month's time, to no avail, we had to finally treat of our whole system with nitro-furzaone to rid our system of this persistent problem, which did the trick, but greatly weakened our biological filter base at the same time. A couple of months later we read a public notice in the local paper. Posted by the water department, it advised the local residents of a bacteria outbreak that had occurred in one of the well supplies several months back. Upon seeing this notice a light went on in our heads. We realized that the tap water we were using to top-off our system coincided with the time period of this outbreak, as well as with the many complaints of people having the stomach flu that was going around, including ourselves! We lost a lot of fish to this bacterial outbreak, and if we had put two and two together sooner, or taken other precautionary measures to prevent a potential problem like this from occurring, it could have been avoided. If you are concerned about using your local water supply, you can always have it professionally tested to see what is in it. However, even though the test may come back with good results, there is nothing that says something can't change at the water department at any given time to result in a totally different test even a day, a week, or a year later. Phosphates, nitrates, and silicates are elements that naturally occur in water, and it is not unusual for some tap water sources to contain high concentrations of these chemical elements. If these are not removed from the water before using it, you are just adding more of the unwanted elements that give rise to all types of algae blooms in saltwater systems, and that often contribute to persistent problems with higher than normal readings of these chemicals when testing the aquarium water. Copper and iron are particularly detrimental to reef animals, and these or other metals can often be present in tap water as well. So what can one do to ensure the freshwater supply that is being used is of the best and safest quality? There is no guarantee that even if you filter the tap water first, problems won't arise. The simplest solution is to learn all about the many methods one has to choose from to purify tap water, or use an alternative water source.